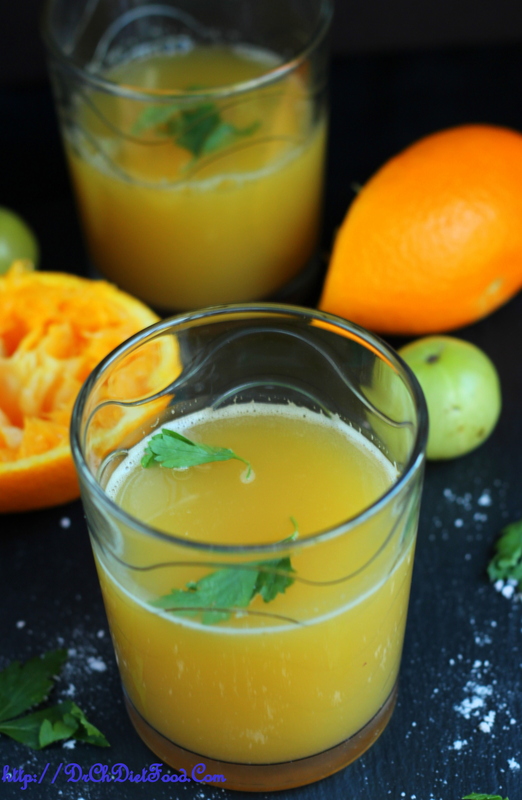 In this vibrant, healthy gooseberry/amla-orange juice recipe, we jazz up plain orange juice by adding amla, to pack in immune-boosting vitamins C.
Fresh orange juice recipes are the best. There’s nothing like it on the planet. Great for breakfast or a juicy snack. Amla, is the Indian gooseberry. As amla tastes sour due to the high amount of Vitamin C present in it makes it up by leaving a sweet aftertaste on the your taste buds. Summer is the best way to take refreshing drinks to avoid the effects of the heat in our health. We should drink and eat fruits to avoid dehydration and other illnesses and for us to stay healthy. Fruits like strawberries and bananas are packed with potassium, vitamin C and antioxidants that are needed by our body.